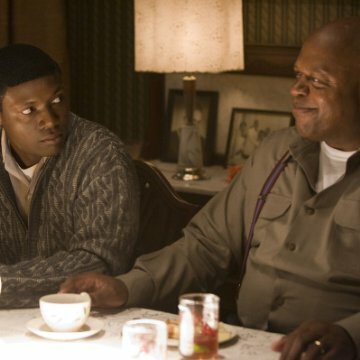 Nelsan Ellis - Will Davis, Jr.
Career team record @ Syracuse 1959 11-0 1960 7-2 1961 8-3. 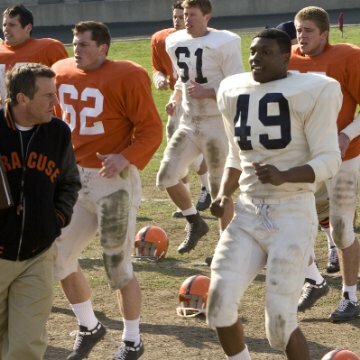 Factual errors: At the very start of the movie, in the huddle of the first play the audience witnesses during the Texas game, you can clearly hear the quarterback say the play and he says it is a Shovel Pass, but when the play is run it is in fact a direct hand off to Ernie Davis not the shovel pass that was called. Ernie Davis: 21 straight lines five yards apart. That is a football field. But there are other lines you don'T see that run deeper and wider. All the way through the country, and aren't part of any game. 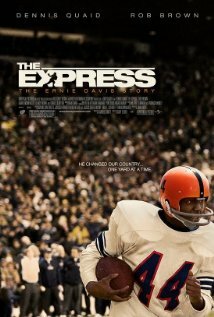 The Express was one of the best sports movies I have seen. 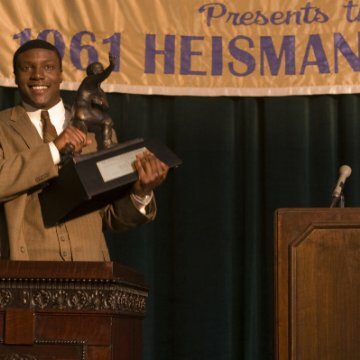 It tells the story of Ernie Davis, who was the first African American to win the Heisman Trophy and his relationship with his coach, Ben Schwarzwalder. It is set in the late 50's where there was still a great deal of prejudice against African Americans, even in the northern states where segregation was not overt. 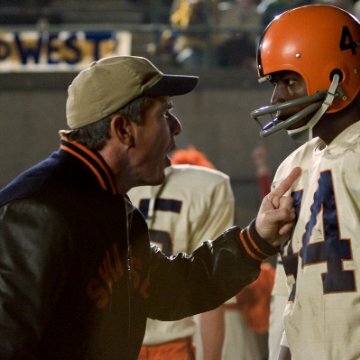 Ernie's optimism and willingness to be the best football player he can be, not just the best African American football player was portrayed perfectly by Rob Brown. He was inspiring and you couldn't help rooting for him to succeed. Ben was a crusty, set in his ways coach, who couldn't see beyond winning the game. Ernie helped him see that a football team is made up of individuals who have to pull together to achieve their goals. Dennis Quaid is an excellent actor, who can say so much with just a smile or a raised eyebrow. He is so natural, it is as if he isn't acting at all. Dennis & Rob have a very good chemistry, and they made every scene believable. 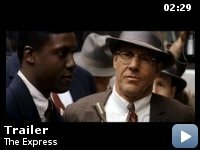 The Express was similar to the Rookie, another great film that Dennis Quaid starred in. Both films had just the right amount of drama, set off with little bits of comedy to relieve the tension. At the showing I attended, the audience was very moved by the film because when it was over, there was much applause, something you don't hear much in movies these days. You don't have to be a football fan to love this movie. I highly recommend it.